Sometimes, you may find that your current conservatory is too hot to use in the warmer months and too cold in the cooler months. This may be down to the fact that the roof is not insulating your conservatory well enough which is the most common issue when it comes to conservatories that are not performing as they should. Because your conservatory acts as an extension to your home, it should be the case that you can use it comfortably all year round and it should provide major benefits to your Kent home. Having the extra space for multiple purposes brings a whole host of advantages to making your home a more comfortable and enjoyable place for the entire family. There is a very simple solution to make sure your conservatory performs well and that is by installing a brand new conservatory roof. You can select from glass, solid and tiled roofs depending on your property style and individual taste. Replacing your conservatory roof is a simple and easy home improvement which consists of an innovative process that can make the world of different to your Kent home. We can replace your conservatory roof without affecting your property’s walls, doors or windows which means minimal disruption to you and your family. 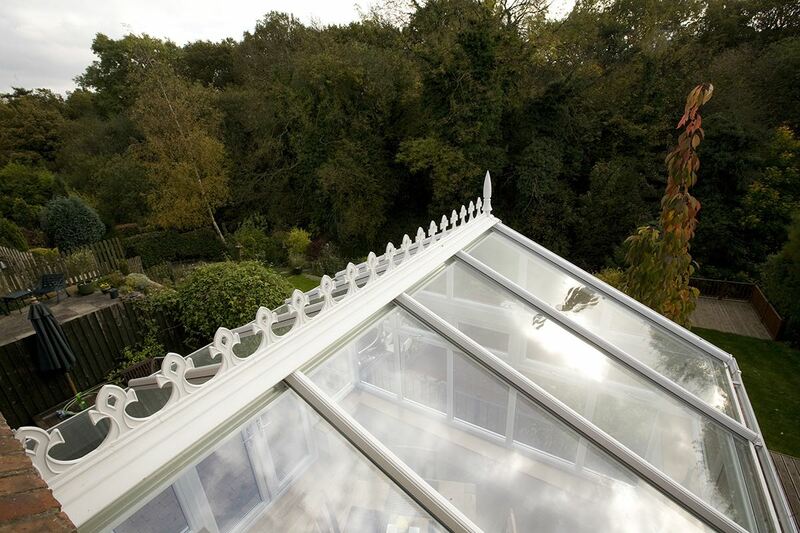 Our conservatory roofs require very little maintenance and are made to be a durable and long lasting solution. You can tailor your conservatory roof to closely match the existing style of your home or you can select a style that will stand out and transform the aesthetics of the building. There are a number of benefits and features to installing a brand new conservatory roof to give your existing conservatory a completely new lease of life. Having a quality conservatory roof allows you to use the space all year round rather than in certain seasons. From sunshine and extra light in the summer, orange and red hues in the autumn, ice and snow in the winter or an abundance of flowers appearing in the garden in the spring, you will be able to have unobstructed views of the seasons changing. A well fitted and high quality conservatory roof prevents heat from escaping from your conservatory. With a layer of insulation designed to protect against heat loss, you will find that you rely less on artificial light and heating and you will benefit from more natural light and a consistently warm temperature all year round. This makes your home a comfortable environment at all times. 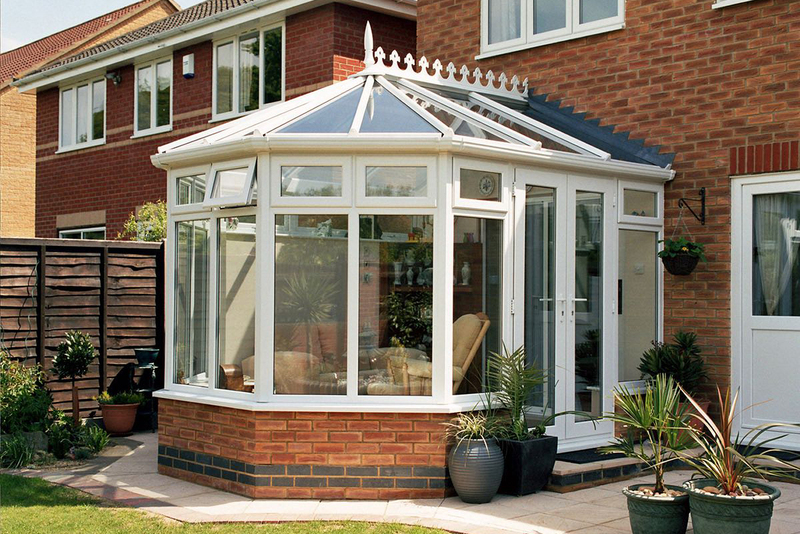 Adding a conservatory increases the value of your home, which makes a conservatory roof integral to the structure. 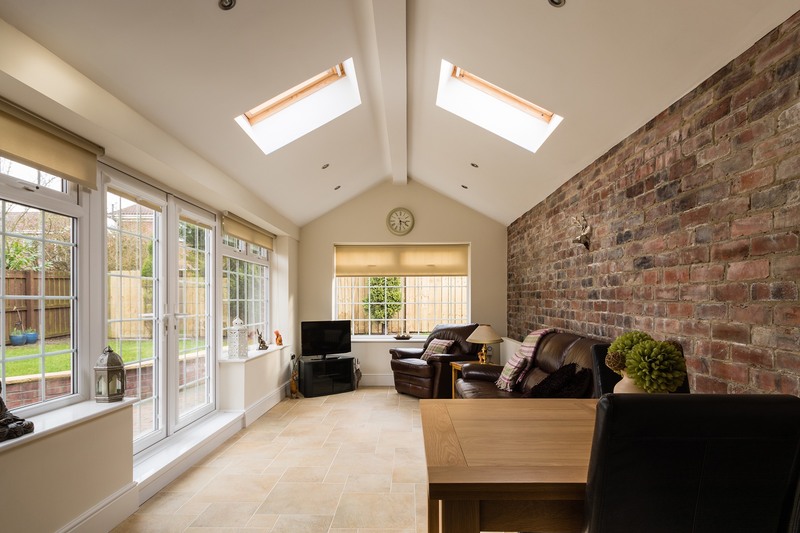 Selecting the right type of conservatory roof for the space is important to give an illusion of more space, a warmer environment and excellent benefits that a potential buyer would benefit from. A perfectly installed conservatory roof will ensure that you not only add value to your home but invest in a long term solution. You might think of conservatory roofs and adverse British weather and be reminded of the noise of rain drops hammering loudly on the roof top. The materials used nowadays for conservatory roofs drastically decrease the level of sound so that it is less disruptive and doesn’t deter you from using your conservatory in bad weather. It also reduces sound pollution in general which enables a peaceful and tranquil environment. The most common reason for adding a conservatory is to increase the size and space of your property in Kent, without the need for planning permission. You can use your conservatory for a number of purposes whether you’re looking to add a relaxation room, dining room or play room… the possibilities are endless. A conservatory roof selection can impact on the use of the room so it is important to consider the different types that are available. There are a number of options when it comes to conservatory roofs such as solid, glass or tiled. Each style has its own set of benefits and design features depending on the style you are looking for. The glass conservatory roof for example is the option for homeowners in Kent looking for maximum natural light solutions and a spacious and airy feel. With more glass than frame it provides unobstructed views of the outdoor space maximising scenic views. A solid conservatory roof can be installed on almost any conservatory type, making it a versatile and flexible choice. You can add glazing to solid roofs if you wanted to combine a solid roof with excellent sky lights or roof lanterns to be placed strategically to allow more natural light and beautiful aesthetics. A tiled conservatory roof can complement a traditional property in the way that they seamlessly blend with the existing brickwork and complement a home’s overall aesthetics. Tiled conservatory roofs are also an excellent choice for those who live in a conservation area or listed property. They can uplift and enhance your property effectively, making them a superb addition to your Kent home. We pride ourselves on providing homeowners in Kent with quality home improvements, excellent service at competitive prices. Our skilled professionals have vast knowledge and experience in home improvement installation. Contact our friendly team today to get a quote for your new conservatory roof. You can use our online contact form or call us on 01795 427 222.